Oh, what a hot mess. What's going on with this reboot? If the machine won't even turn on, it's a problem with the power. If it turns on but doesn't do anything, it could be a bad hard drive, bad memory, bad GPU... take it in somewhere and get it looked at. Weezer's Pink Triangle. There's something about it that I just find calming when I'm buried in work. Topic: Whitewashing And Diversity In Hollywood? Re: Whitewashing And Diversity In Hollywood? xPearse#834575 wrote: Meet my new avatar. Puddin. 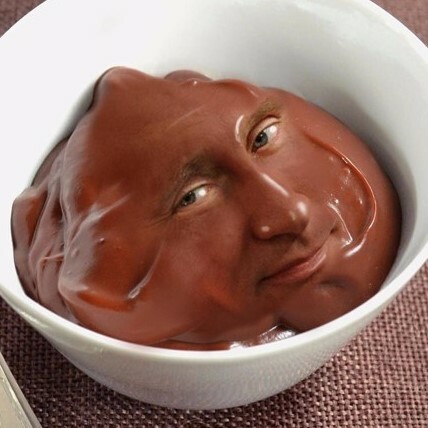 Puttin' the Putin in puddin'. I don't think it should, but I don't know if it will. We might have to wait and see. BrikHaus#833838 wrote: THEY ARE YELLOW-WASHING A CHARACTER WHO IS SUPPOSED TO BE EUROPEAN! EVERYONE GET MAD! Silly Brik, only white people can be accused of -washing.